The benefits of decluttering your home are countless, it can give you the fresh start you need to simplify your home and your life. Yet the best (and arguably only) solution to the problem of clutter is stopping it from happening in the first place. Decluttering is only half the battle; preventing it from creeping back in is always an ongoing pursuit. Minimalism changed my life, in part because of how little clutter I now accumulate. 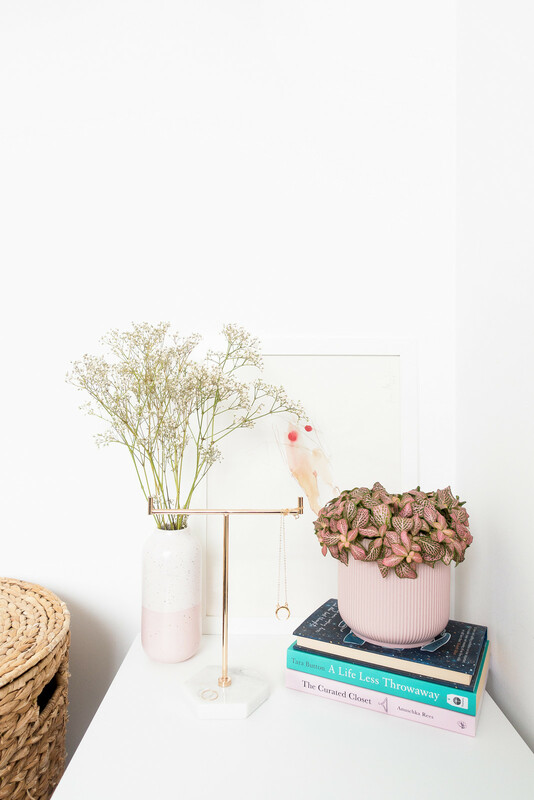 Living simply taught me how to be more intentional with my purchases, declutter regularly and mindfully, and form systems that help keep my home tidy and clutter-free. Don't buy so much stuff and you won't end up with clutter. Easier said than done, I know. Being intentional about what you buy and making considered purchases relies on changing your spending habits. Start by quitting the habit of recreational shopping and saying "no" to things you don't need. Be intentional about the items you choose to buy; try a spending ban or challenge, like A Year of Second-Hand. The less you buy, the less you accumulate so work on being content with what you already own. Ask yourself: Why do I want this? Where will it go? Does it add value to my life? 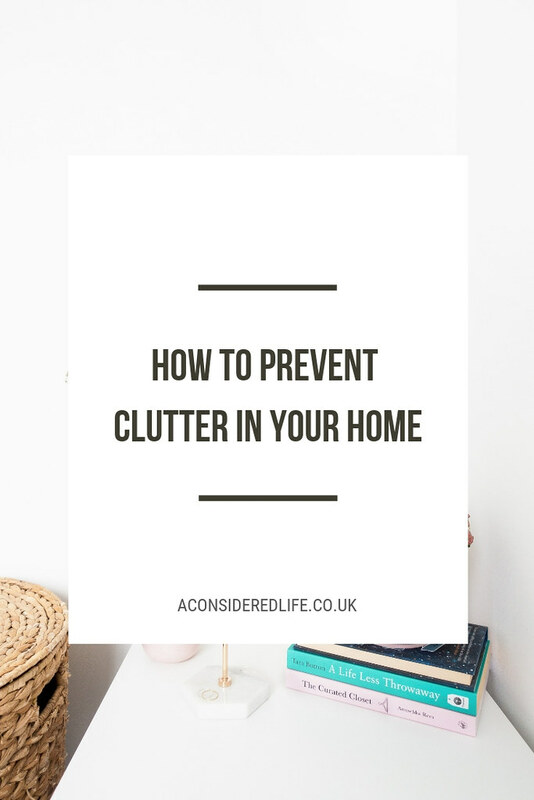 Don't bring things into your home unless you need to and you won't have to spend time organising or decluttering them, that includes buying new items as well as receiving unwanted things like junk mail and gifts. The true cost of your clutter might surprise you; it takes up space and eats into your time. The best course of action is to declutter your possessions so all that is left are things you believe to be beautiful or useful, perhaps both. Figure out what your clutter looks like. Ask yourself: Does this bring me happiness? Does this add value to my life? Am I being intentional in keeping this? Once you've identified what you don't want, need, or use, find ways to deal with the clutter mindfully either by repurposing, rehoming, or recycling. Make resolutions about your wardrobe to create a wardrobe you actually wear, and say goodbye to the rest. Decluttering can be a hard slog, it can be tough to stay motivated — here are some words of encouragement. Things tend to accumulate in clutter hotspots, these things are comprised of stuff you don't want to keep but haven't dealt with yet and stuff you want to keep but haven't put away. Clutter attracts clutter so an easy solution is to give everything you own a place within your home, and put it all back at the end (or beginning) of the day. Stop clutter-causing habits by dealing with items immediately; instead of throwing them on the counter or in a junk drawer, recycle, donate, or bin regularly. Maintaining a tidy, clutter-free home is easy if you follow these everyday habits. What's your favourite tip for keeping your home clutter-free?